I was wondering if you could answer a question that I’ve been wrestling with… Is any one software better in terms of QUALITY for color correction? …For instance, if I were to use a curves adjustment and then a three way color corrector theoretically using the exact same settings, would quality degradation be more or less prevalent in after effects, premiere, colorista, resolve, or speedgrade? 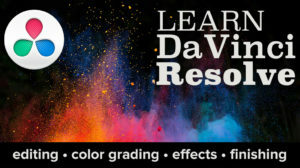 Everyone knows that I consult for DaVinci, and that Resolve is the software I use for both my client and personal work. That said, I’ve used many apps, have written about several, and as far as I’ve seen, you can do high quality work with the current version of just about every image-processing postproduction application on the market, be it Resolve, Baselight, Rio, Nucoda, SpeedGrade, Scratch, After Effects, Nuke, Symphony, Smoke, Flame, Premiere Pro, Final Cut Pro X, or plugins such as Magic Bullet, Colorista, what have you. In terms of image quality, one could certainly choose to nitpick the quality and/or feature-richness of a particular operation in one application versus that in another; comparing implementations of curves, or noise reduction features, or qualifiers. But, minutiae aside, I honestly think that when comparing the basic image processing features that comprise the bulk of one’s day to day adjustments, you can get where you need to go in ANY of the above solutions and produce a high-quality image. All modern software that I’ve seen has perfectly good image processing, and each application I mentioned can boast of projects in cinemas, on television, and winning awards in high-profile film festivals; proof that nobody is getting fired because of what they’re using. 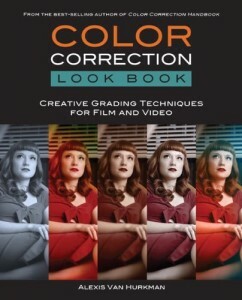 One of the chief differentiating factors between today’s generation of color grading environments is the number of tools available to help you make focused adjustments, work more specifically, and hopefully more quickly. There’s a tradeoff between the time you’ll spend learning to use an expanded set of tools before applying them, but in theory, you’ll get all that time back working more efficiently. The best software for you to use also depends on your personal style of working. 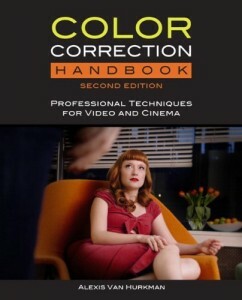 This often relates to what application you first learned to do color correction with, as everyone tends to favor the methods they originally learned; this usually depended on what features your first grading environment had, and which it lacked. Because of this, users new to a particular app typically spend their first month wishing that app worked more like the last application they used, until they start getting used to the methodologies and features of the new environment. The best grading solution may also depend on the type of project you’re working on, with some applications being perfectly fine for short form projects, yet cumbersome for longform. Lastly, the postproduction workflow you need to follow may mean that the most feature-rich tool is not actually the best, depending on how the idiosyncrasies of project exchange and reconform relate to the editing and finishing methods you’re using, and your project’s schedule. In a more concrete example, grading inside of your NLE can ease your workflow in terms of not having to move your edited timeline between apps, and you can reap efficiencies by having your grades live with your edit, thereby avoiding reconforms when last-minute reedits are necessary. On the other hand, dedicated grading applications are made to work quickly, do more to the image, and speed up your grading workday, offering many more dedicated tools for color tweaking then the average NLE. Some grading apps work better when coordinating with specific applications in a regimented workflow, while others are designed to be more flexible in order to accommodate more unpredictable situations. In making your choice, I’d say that your primary concerns should be efficiency of workflow (in your situation) and flexibility of grading tools. Whatever software you pick, the quality of the result is going to be more up to your ability then the application, pretty much all applications are capable of high-quality processing.